In Warren Buffet’s 2011 annual letter to Berkshire Hathaway shareholders, he talked about gold as an investment. “Today the world’s gold stock is about 170,000 metric tons. 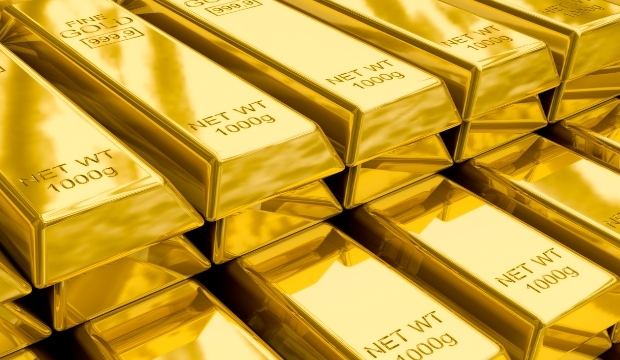 If all of this gold were melded together, it would form a cube of about 68 feet per side. (Picture it fitting comfortably within a baseball infield.) At $1,750 per ounce – gold’s price as I write this – its value would be $9.6 trillion.” He goes on to point out that you could buy all the farm land in America plus ExxonMobil, the world’s most profitable company, 16 times over and still have $1 trillion dollars of “walking around money.” His main point was that fertile land and a successful company produces products that generate income while gold does not. In a hundred years, Buffett notes, the gold would still be sitting there while the productive land and company would have generated trillions of dollars of income. At that time, my colleague and I had a conversation piece that was a physical reminder of the price of gold sitting on his desk for months—one gram of gold. A gram is 1/16th of an ounce. So that sliver, about the size of your thumbnail, cost over $100. Since Buffet’s letter was published in February 2012, gold’s price has fallen to about $1,250 per ounce while the S&P 500 rose from below 1,400 to over 2,000. That’s a drop of almost 30% and a gain of over 40% for stocks. Given gold’s decline the past two and a half years, does it make sense to have it as a part of our portfolios? We will address this question by giving 2 shaky reasons and 2 solid reasons to own it. “I will make easy money on the next run up in the price of gold.” Gold is still up almost 200% over the past 10 years. The price, as we have seen the past few years, can go down. “Owning gold is a sure hedge against falling stock market prices.” A quick check of the 2008/2009 stock market decline shows that gold prices fell during the pull back (though not as much). Since then, prices have often moved in the same direction as stock prices. How much of a hedge gold will be in the next pull back is questionable. “Just like a government central bank, I want to keep some of my reserves in gold.” Have you ever thought of gold as a currency? It can be used as a portable means to store purchasing power. Much of it’s limitations as an investment (and its suspect value) can also be said of cash, especially in a low interest rate environment. A big plus for gold, however, is that no government can simply print (create) more of it out of thin air. “Diversification.” Simply put, we don’t know what tomorrow holds in terms of inflation, world economics, or asset prices. Things change. The factors that allowed a financial genius like Mr. Buffet to succeed from the mid ‘60s through today are not promised to us as we move ahead. Owning some may help smooth out the ride in our portfolios over the long haul. To learn more about Glen Martin, view his Paladin Registry profile.